Fantasy Grounds, one of the leading virtual tabletop platforms, now offers officially licensed Dungeons & Dragons content from Wizards of the Coast. Available through Steam, the software can allow players to virtually recreate the 5th edition D&D tabletop experience complete with dice rolling, 2D maps and a play experience completely controlled by a dungeon master. Anyone who’s been playing D&D over the last decade remembers the promise of Wizard’s Virtual Table. First publicized in the back pages of 4th edition core rulebooks, it promised a fully-realized, 3D tabletop roleplaying experience. But over the lifecycle of 4th edition the vision wavered, and in 2012 the Virtual Table beta was officially cancelled. In the meantime, a number of virtual tabletop solutions cropped up organically online, allowing players to come together from remote locations around the world and have an experience very similar to playing at a table together in the same room. 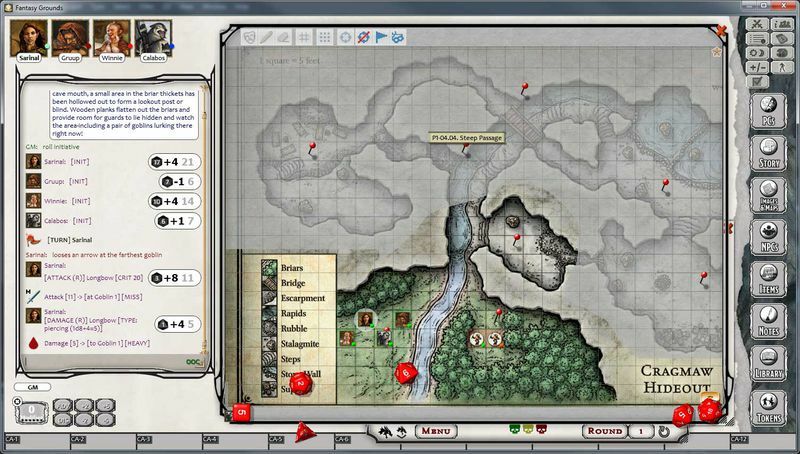 One of the most capable solutions is Fantasy Grounds, which has a bewildering assortment of features and flexibilities that allow game masters to create everything from homebrew games, to Pathfinder and other established tabletop systems. 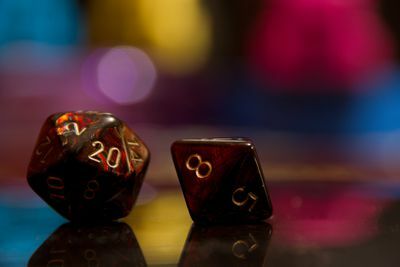 Add to that the officially licensed D&D modules available for download, including add-on classes and monster collections, as well as entire campaigns. The first set of products, including the D&D Complete Core Class Pack, D&D Complete Core Monster Pack, and The Lost Mine of Phandelver went on sale last week. Polygon has spent some time checking out the content in The Lost Mine module. Believe it or not, the entire experience, page-for-page, of the physical 5th edition D&D Starter Set is represented there. Beyond that, Fantasy Ground’s modules even include annotated maps hotlinked to spawn enemies onto the grid, ready to roll initiative. We talked to the president and owner of Fantasy Grounds, Doug Davison, who said that more products are already in the pipeline. Greg Tito, Wizard’s communications manager, confirmed for Polygon that other campaigns, including Rise of Tiamat and the recently released Princes of the Apocalypse, are on the way for Fantasy Grounds. It’s interesting that Wizards is partnering with a tool which, for all intents and purposes, allows users to scrape content off the internet for free and easily insert it into their games. Fantasy Grounds’ own online tutorials give step-by-step instructions on how to grab maps and art from Google Images and drop it directly into user-generated games. But Tito says players have been doing this sort of thing for generations, so why not support a tool that lets them do it easily? Furthermore, he hopes that fans will see the value in the for-pay Fantasy Grounds modules, as they leverage the strong work that the Wizards research and development team, as well as their publishing partners, produce in the physical books.